As an organisation employing thousands of women it will come as no surprise to you that we are passionate about gender equity. It’s not just in rural Bangladesh that gender equity is important. It’s well known that companies who have women on their boards outperform those who do not. It was great to see the introduction of the strong girl staring down the wall street bull statue installed for International Women’s Day last week. The discussions around gender equity now seem to be filtering through everywhere which is great and should definitely be the start of real change. But it takes men as well as women to be on board to make this happen. 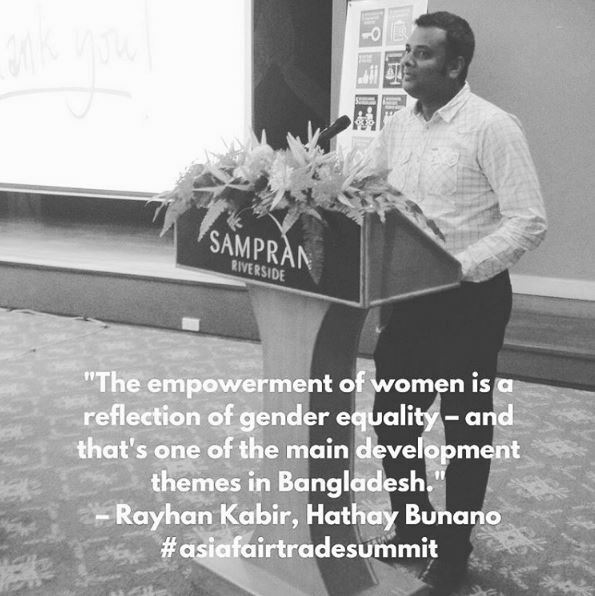 We are very proud of the Executive Director of Hathay Bunano, Rayhan Kabir, who has been promoting women’s rights and gender equity since joining HBPS many years ago. Last year he was part of the WFTO Asia gender equity sub committee strategising on how to take this forward for WFTO Asia and WFTO as a whole. The sub committee did great work and came out with a valuable presentation on the issues and ways forward and then from that WFTO Asia have put together a training course – Introduction to gender. It’s a four module online course and is available through the WFTO Asia website. WFTO Asia have done some great work advocating for fair chances at work for women and this was the theme of International Women’s Day for WFTO Asia members this year. 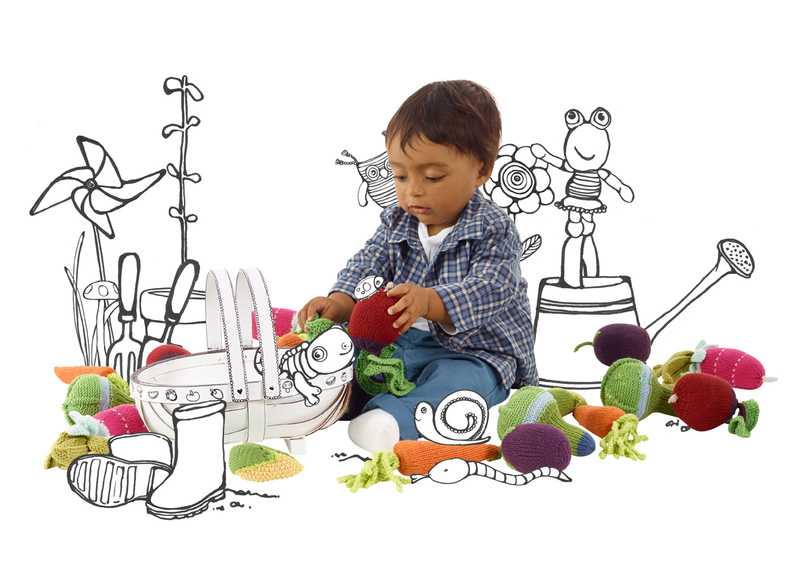 Here’s a great blog post from them detailing 5 quick facts about gender and not surprisingly including ‘research has shown time and time again that household income in the hands of a woman is more likely to be used for the benefit of the family’. It’s great to be part of an organisation continuously pushing for gender equality. It’s great to be members of WFTO Asia who continually encourage us to move the bar further and support us in this work. It’s great to have men supporting the cause to with the ⌗heforshe movement. 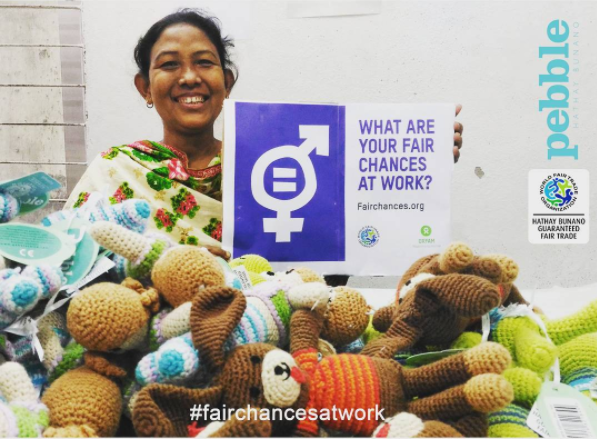 It’s great to be supporting ⌗fairchancesatwork.